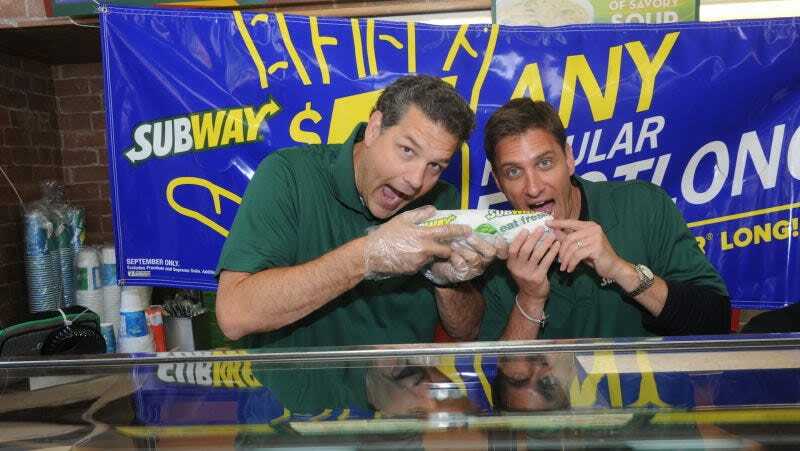 It’s been a few weeks since Mike Greenberg (Little Mike) started his post-Mikes career as the host of Get Up!, a morning show which does not feature Mike Golic (Big Mike). On the eve of the show’s launch, Little Mike gave an interview in which he expressed what seemed like wistful longing for his old partner. Today, Little Mike once again revealed that perhaps he has not moved past the separation of Mikes. Look at that hashtag! Clearly, Big Mike still occupies a prominent place in Little Mike’s brain. Does he ever accidentally call Michelle Beadle or Jalen Rose “Mike,” even though they are definitely not Mikes, in name or spirit? Can Little Mike’s partnership with two not-Mikes ever work if he still hasn’t let go of Big Mike?